Pulaski Tower, also known as Hamlin Tower, was presumably built circa 1895-96 concurrently with Hamlin Yard, the Lake Street Elevated's primary yard and maintenance shop facility. The yard was located at street-level west of Hamlin Avenue, north of Lake Street. A long, steep ramp connected the elevated tracks to the ground-level yard. 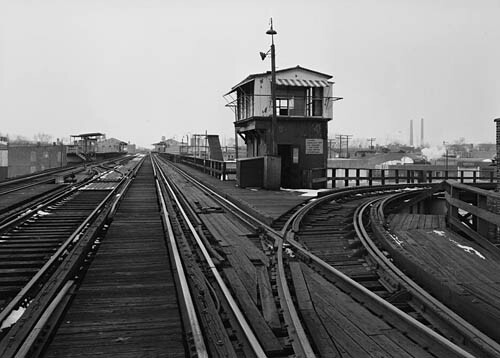 Hamlin (Pulaski) Tower controlled the interlocking that included both the turnout to the yard ramp as well as the crossovers that connected the middle track (used alternatively for car storage and express service throughout the decades), which ended here, to the mainline tracks. 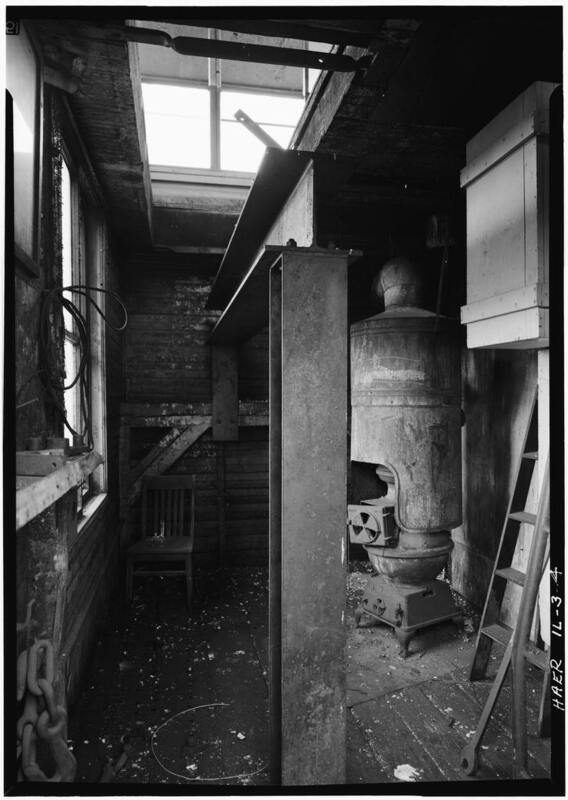 The interlocking plant controlled by Hamlin Tower was mechanical, with the switches and wayside semaphore signals controlled by large levers in the tower that were connected through a "locking bed" to a series of rods along track level that manipulated the switch points and signal arms. The locking bed consisted of steel bars forming a grid constructed so that, if the function controlled by a given lever conflicted with that controlled by another lever, mechanical interference is set up in the cross locking between the two bars, in turn preventing the conflicting lever movement from being made. During the CTA era, Hamlin Tower's use was gradually reduced over time due to various operating changes on the Lake Line. 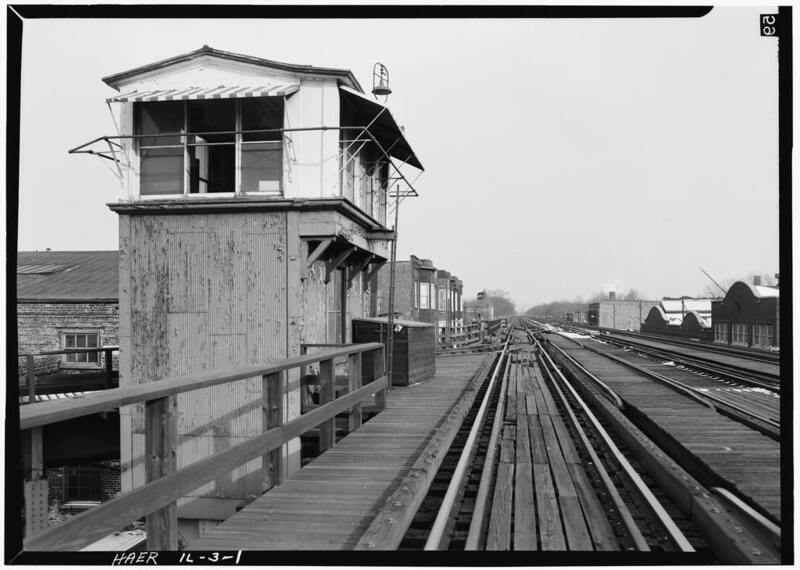 Following the CTA's institution of A/B skip-stop service on the Lake Line in 1948 and resulting discontinued use of the middle track for express trains, the tower no longer was needed to move revenue trains on and off the middle track to separate locals and expresses. 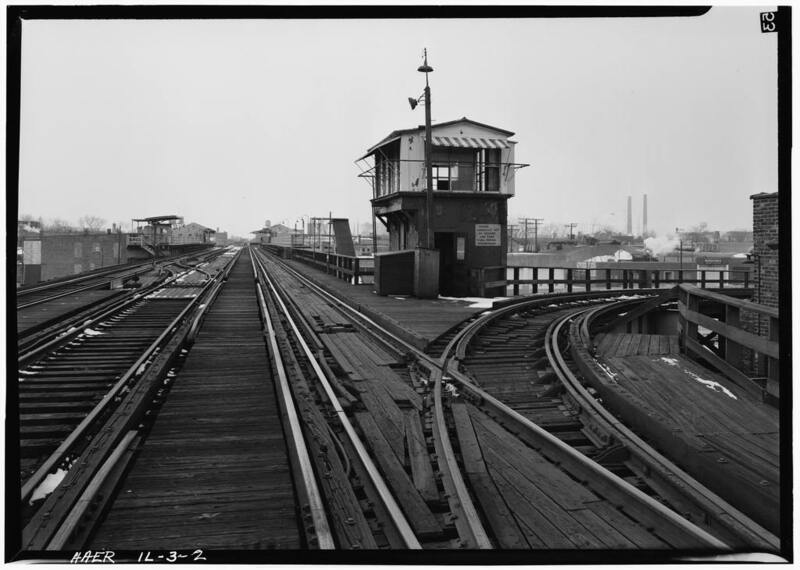 The middle track was relegated to car storage, although the tower continued to control the interlockings in and out of the middle track for this purpose as well as access in and out of Hamlin Yard. 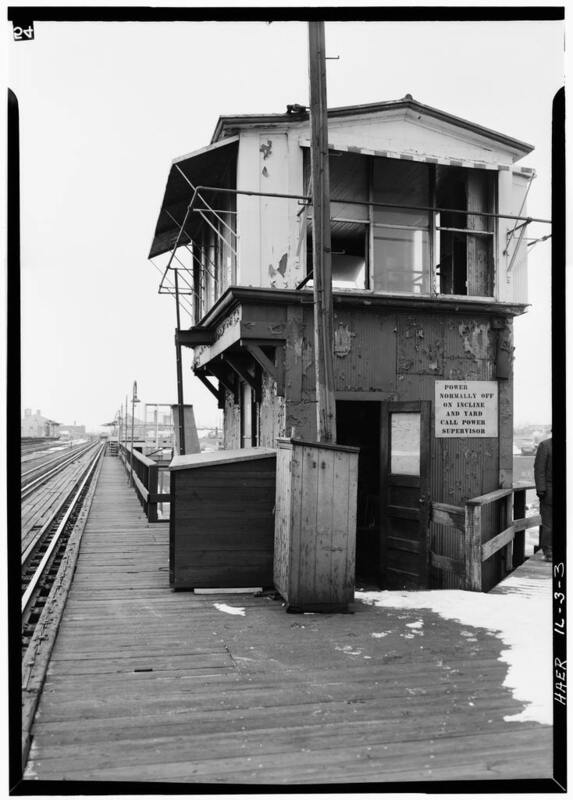 On December 6, 1965, the hours of manned operation at Hamlin Tower were reduced from Monday-Friday all day to rush hours only, signifying the reduction in importance and use of the old Hamlin Yard with the construction of a new, larger, modern yard at the end of the line at Harlem. On July 5, 1966, the use of Hamlin Yard for overnight lay-ups was eliminated and all car storage was formally moved to Harlem. On July 3, 1967, almost one year later to the day, the Hamlin Yard was officially closed. Due to these changes, on October 11, 1967 the interlocking plant at Harding (Hamlin) was removed from service, with the switches both to the middle track and well as to the yard lead converted to hand-throw. At this point the tower was more or less abandoned, although it continued to stand for a number of years. On October 27, 1970, the installation of manual switch stands on all switches at Harding was completed. Hamlin Shops may have been demolished circa 1976-77. On July 7, 1987 (just over twenty years to the day that the yard closed), the incline leading to Hamlin Yard was removed from service for demolition. It is unclear if the tower lasted that long or was demolished in the 1970s.